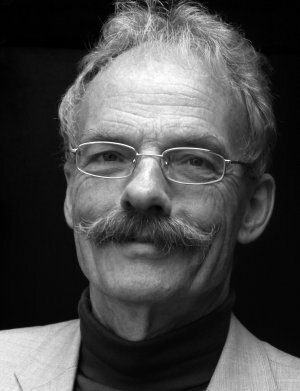 Interview with Jan Willem Storm van Leeuwen, chemist and expert in technology assessment and life cycle analyses of energy systems working for Ceedata. Anne: Jan Willem Storm van Leeuwen, I am pleased to have the opportunity to interview you on my blog. 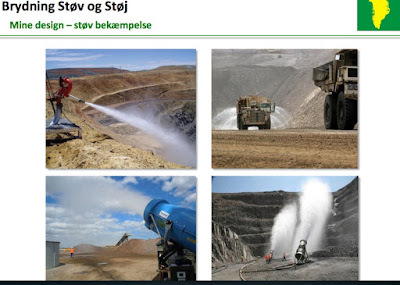 In 2014 you published a new report on the Kvanefjeld mining project. (1) The report comments on the bias of regulators such as the IAEA and WHO and gives new evidence of the project’s negative impact on public health and the environment. I would like to ask you about the consequences of the REE/uranium mining project at Kvanefjeld/Kuannersuit. 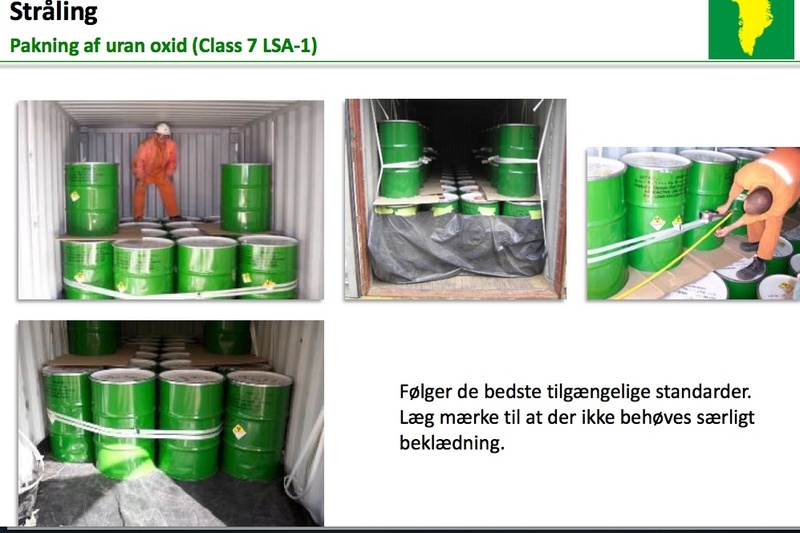 Anne: The Company has just published a presentation/an update of the Kvanefjeld Project. Do you have any comments regarding this update? Storm: The presentation contains some new information, lacks critical information and contains several misleading slides. Slide 20 : How would be the pattern of the dust concentrations measured over many years of mine operation? How reliable are the dispersion models used? After deposition the dust may become airborne again. 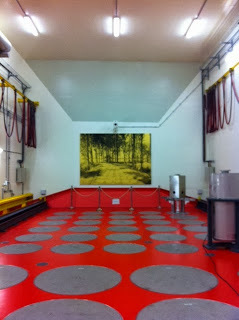 Slide 21: These photos are obviously from a mine in an arid and hot region. How does GMEL think to spray the mine during freezing conditions, at temperatures far below the freezing point of water? Dust from the mine may pose a serious health hazard, the more so because the mine is uphill from the inhabited areas. See for example here. Slide 24: Evidently based on very old models, false assumptions and ignorance of chronic contamination with radionuclides via food, water and air (dust). It is completely unclear how the diagram has been constructed, which data and which assumptions lay at the base of it. The radioactive elements and other toxic compounds will contaminate the drinking water. 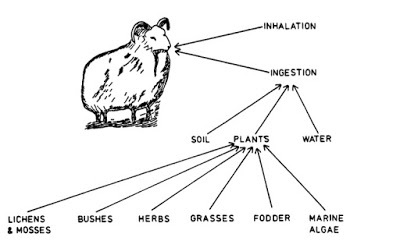 Several of those elements may also enter the food chain, which ones and at which rate has not been investigated. Slide 26: What’s the meaning of slide 26? That the uranium oxide is transported safely, so people does not need to worry about radioactive materials? The amounts of radioactivity in the tailings, dumped into Taseq, may be 100 times higher than of the uranium oxide in the green barrels (why are those green?) with the small danger signs. • No mention of mining the deposits Sørensen and Zone 3 in the future. What are the environmental consequences if those will be mined? • Not any information on seepage of chemicals (both radioactive and non-radioactive) into the river and sea. • Not any information on the activities after closing the mine when depleted, to rehabilitate the mining area and the whole peninsula forever, if possible at all. The radioactive elements and other toxic will remain so forever. Anne: What are the advantages and disadvantages by using Taseq as a disposal for tailings? Storm: Obviously the advantages are the low costs for the mining company: Taseq is located very near the planned mine and processing plants and is at a lower level, so little pump capacity is needed to transport the millions of cubic meters of tailings to the dump site. Disavantages are the environmental problems and the health hazards for the local people. All tailings are planned to be dumped into Taseq, the tailings of the concentrator (flotation tailings) as well as the tailings of the refinery that separates the metals from the concentrated ore (chemical tailings). The chemical tailings likely will contain more than 90% of the radioactive elements present in the mined ore, the other part goes into the flotation tailings. The chemical tailings are separated from the flotation tailings by a dam. The level of the chemical tailings will become some 30 meters higher than the level of the flotation tailings. Leaks are unavoidable in the long term, so the dissolved radioactive elements and other toxic chemicals will seep into the lower part of Taseq and from there into the Narsaq Elv. As I pointed out in my report (1), the ore to be processed contains thorium plus decay daughters at concentrations about ten times those of uranium plus decay daughters, so the chemical tailings will by strongly radioactive. In addition the tailings will contain a gamut of highly toxic non-radioactive chemicals, used in the separation processes, including REEs, zinc, calcium fluoride and natrium hypochlorite. Separation processes never go to completion. Especially REEs are chemically difficult to separate, so the losses are relatively high. How safe are the tailings after many freezing-thawing cycles? What are the consequences of the frequent blastings in the mine nearby? What would be the consequences of a major dam failure? 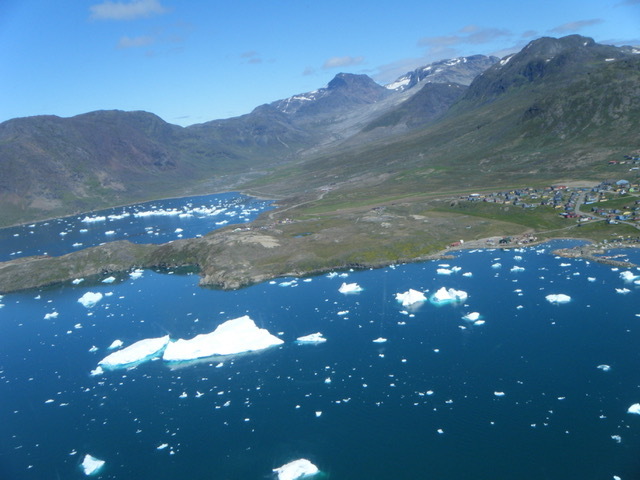 In my view the entire Narsaq valley would then become inhabitable. Anne: Do you have any comments on the costs and profits of the REE/uranium mining project? Storm: The costs of the mining may become very high, due the harsh winter conditions. As I said in my report, I wonder if the mining operations could continue during the winter. What are the consequences of the location of the mine on top of a mountain? The costs of uranium recovery from Kuannersuit is estimated at some 4x present market price, so the profits have to come from the REEs. All plants of the mine (mill, concentrator, refinery, etc) would have to be heated during the cold saison to make processing possible, which consumes massive amounts of water. I would not be surprised if the costs of mining the REEs would be prohibitively high at the current market prices, even for a large Chinese mining company. The costs of mining Kuannersuit would rise higher if the Greenlandic people could enforce GMEL and the actual mining company to compensate the inhabitants fully for all kind of losses, in the short term and in the long term, after the mine gets depleted and will be abandoned. Anne: Do you have some advice to the Greenlandic people? Storm: Might be important to criticize GMEL’s publications and refute disputable assertions thouroughly by means of sound scientific arguments in an early stage of the procedures, as early as possible. In my view it may be impossible to block the mining of Kvanefjeld. The REE resources are large and of strategic importance, uranium will only be a by-product. 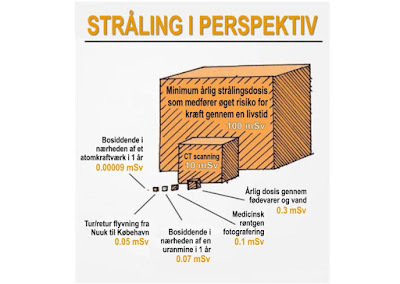 Even if the uranium market were to collaps, Kvanefjeld may remain an attractive project. A more important issue might be the legal and financial consequences of calling off the concession of mining Kvanefjeld for the Greenlandic government. GMEL has acquired the concession and sold it to a large mining company (here called X) that would actually mine the resources. 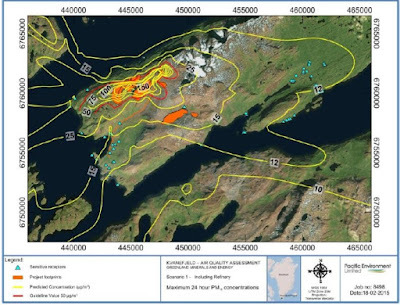 The contracts of GMEL-Greenlandic government and of GMEL-mining company X might be exceedingly intricate from a legal viewpoint (are these contracts publicly accessible?). 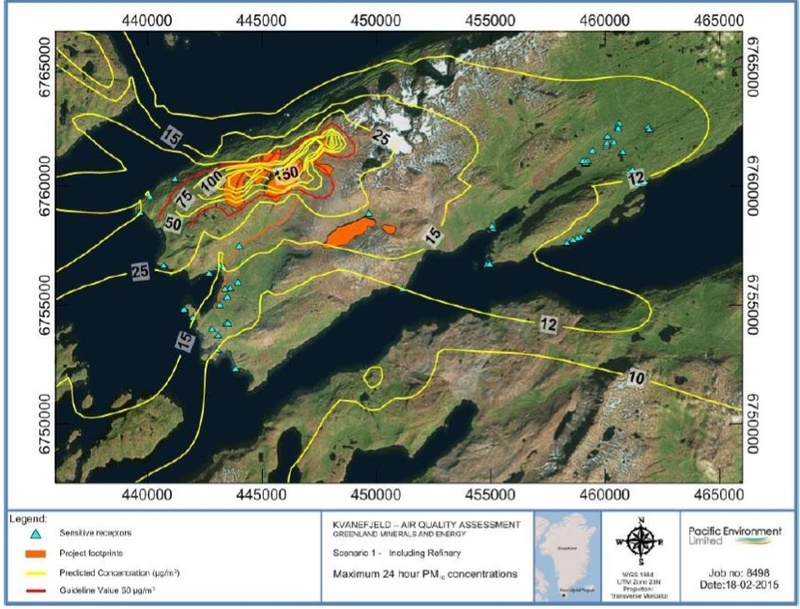 If the Greenlandic government would withdraw the mining concession, very likely they would have to pay a large fine to GMEL as compensation for lost earnings; such a fine may be prohibitive for Greenland. A second problem may arise when the concession is sold to a large mining company X (GMEL itself has not means). One may wonder if company X is obliged to keep itself to the agreements of GMEL with the Greenlandic government and/or with the concerned people? Has the Greenlandic government sufficient legal insight in the contracts? 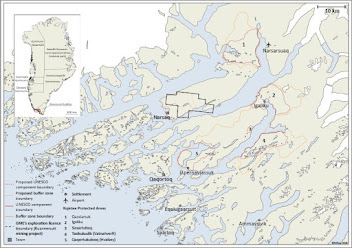 As a possible strategy one may suggest that the Greenlandic people should not aim at blocking the mining, but at enforcing both GMEL and company X to compensate the Greenlandic people fully for all their losses, during the mining operations and the centuries after closedown of the mine, according to agreements legally established before starting the actual mining operations, however high the costs may rise. How will be the authority of GMEL after the new owner starts the actual mining activities? In my view the Kvanefjeld issue has become in the first place a legal issue, people opposing the mining of Kvanefjeld need smart jurists, the Greenlandic people will need jurists who are very well introduced in mining contracts and liability issues. Anne: Thank you for the interview! 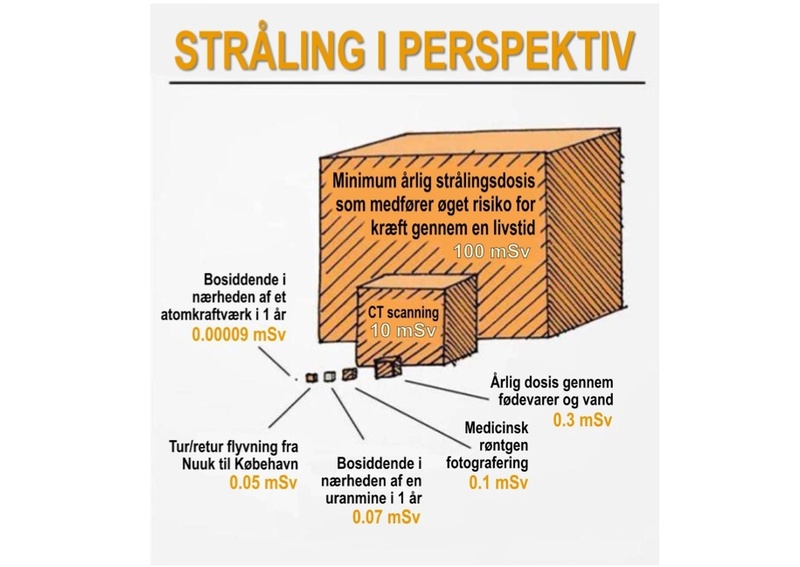 I forbindelse med at jeg skrev på et blogindlæg i december 2013 henvendte jeg mig til Jan Storm med nogle spørgsmål, hvorefter han gratis lavede et analyse udkast, der senere blev til et foredrag på en urankonference i København og rapporten i tilknytning hertil.